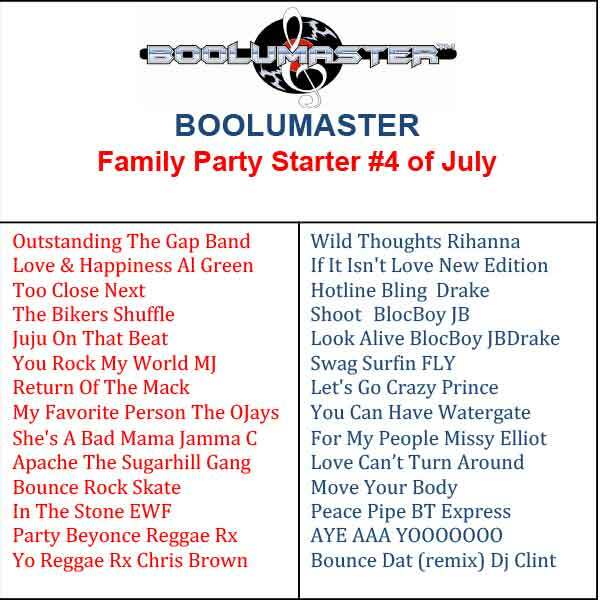 The New Release Family Party Starter 4 of July is the 4th installment of the super popular Family Party Starter series. It has all urban genres in 1 mix. Clean Radio friendly songs: Old School R&B, Hip Hop, Line Dancing Slides, Steppers cuts, Popular House and Juke Tracks and New Hip hop and R&B. A Must Have for any family or friend party/get-together for all ages.